If you’re familiar with the blend of fusion and progressive rock typical of Québec’s Unicorn Records label, this disc may take you a bit by surprise. This is experimental music that attempts to extend the range of sounds available from an electric guitar by processing it using numerous software plug-ins. When I say experimental, I don’t mean totally inaccessible either. Whether the music is exploring moody symphonic progressive sounds; deep and eerie ambient passages; jazzy, fusionesque forays; and even hyper, electronica-like excursions it always retains a sense of what is musically listenable, while still pushing the boundaries of what is possible. It doesn’t always work. Some of the pieces feel a little bit unfinished, like experiments in progress that may evolve into songs someday. 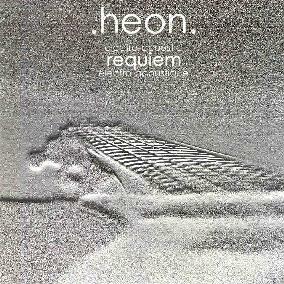 But then artist Martin Heon himself describes this as a research project, somewhat akin perhaps to Fripp’s “fractalization” of King Crimson a few years ago for live, improvised performances he described as “research and development”. And research, by its very nature, answers some questions, but raises new ones. When I mention King Crimson, I only mention it as a conceptual comparison. In fact, it’s difficult to compare Heon’s work to that of any other artists, and he’s managed to create something wholly unique and innovative here. One hopes his research will continue to search for the answers to the musical questions he has opened up with this album.